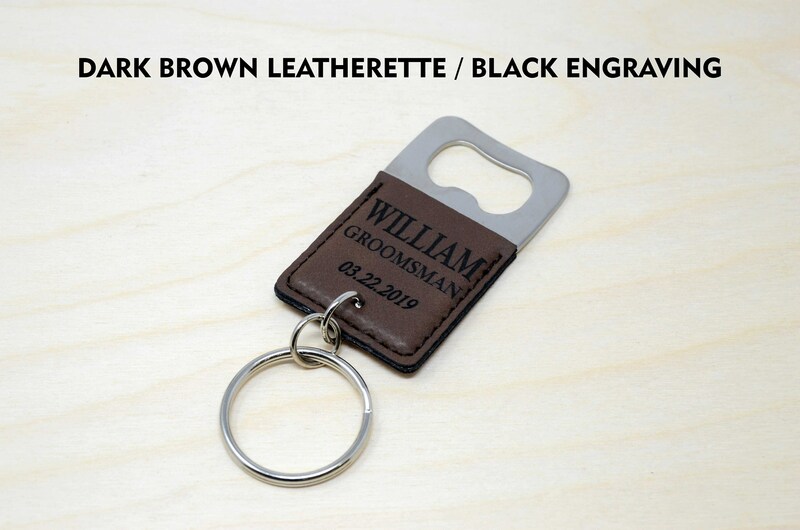 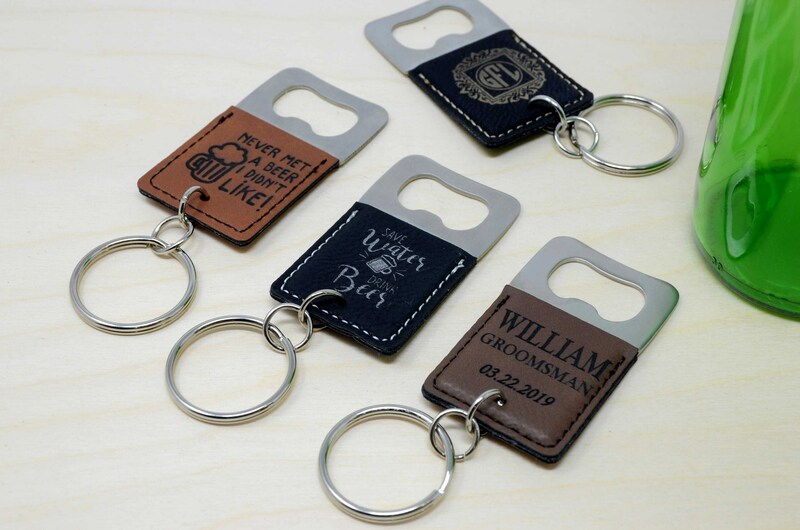 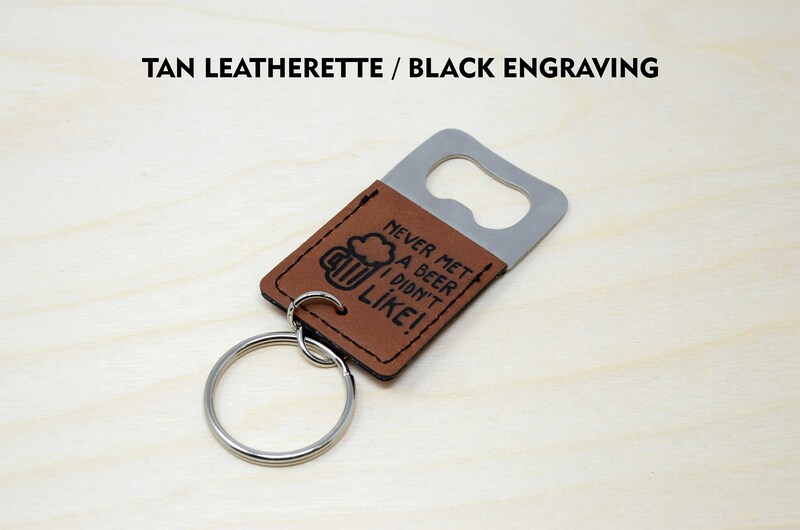 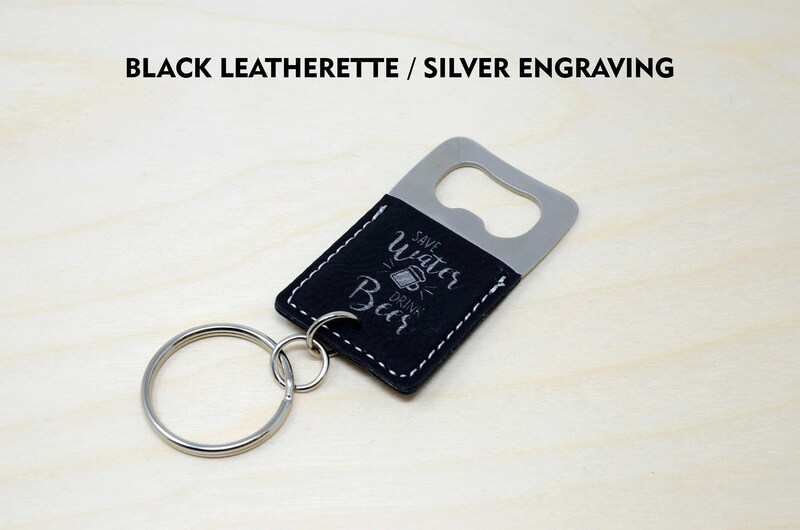 This cool bottle opener key chain is made of stainless steel covered with soft leatherette which can be personalized with laser engraving, we can also personalize it with your logo or custom design, just ask us. 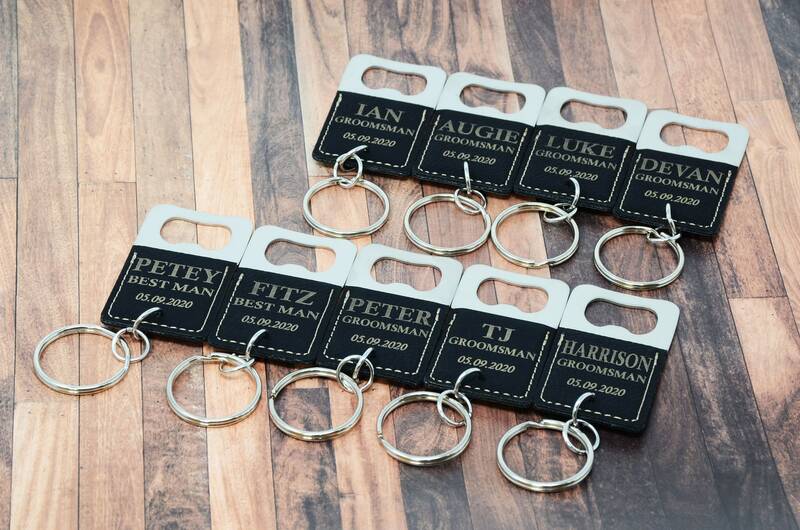 This item is the perfect gift for a wedding, birthday, anniversary and pretty much any party. 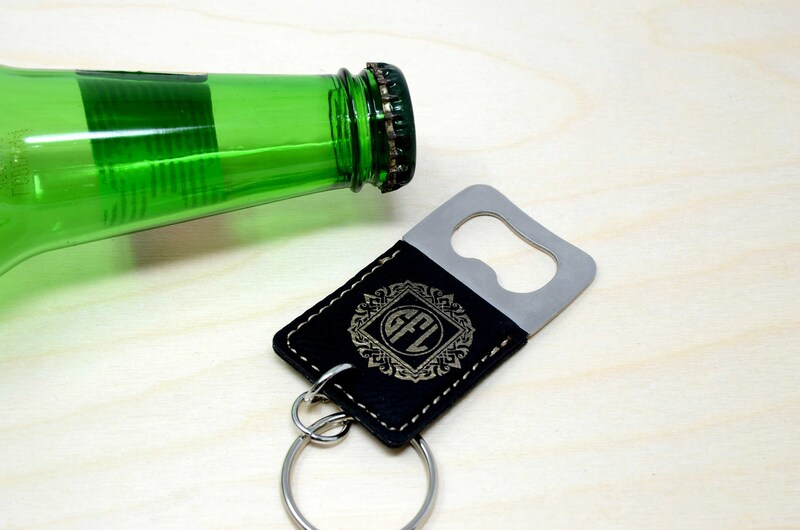 The approximate dimensions of this bottle opener are 2.75 x 1.5 inches + the key ring. 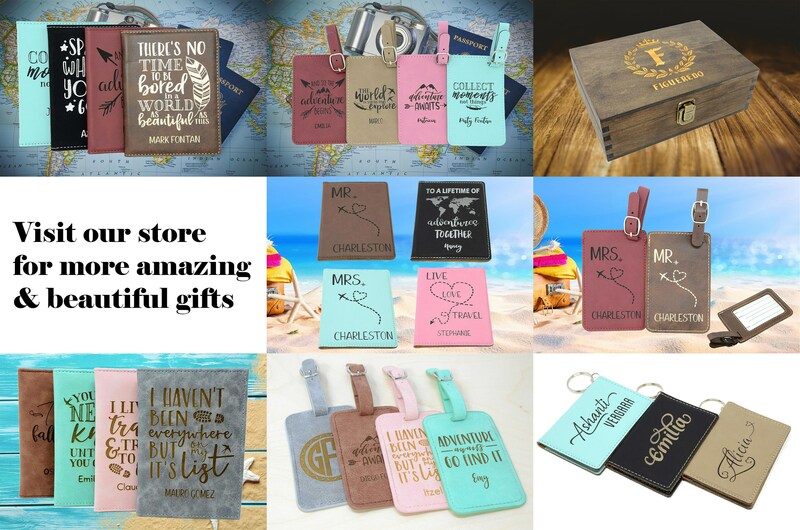 USPS First Class Package Service generally takes 3-5 business days to deliver the package (after your item has been processed), very often these time frames are met by USPS, however there are few occasions when this USPS service takes longer to deliver. 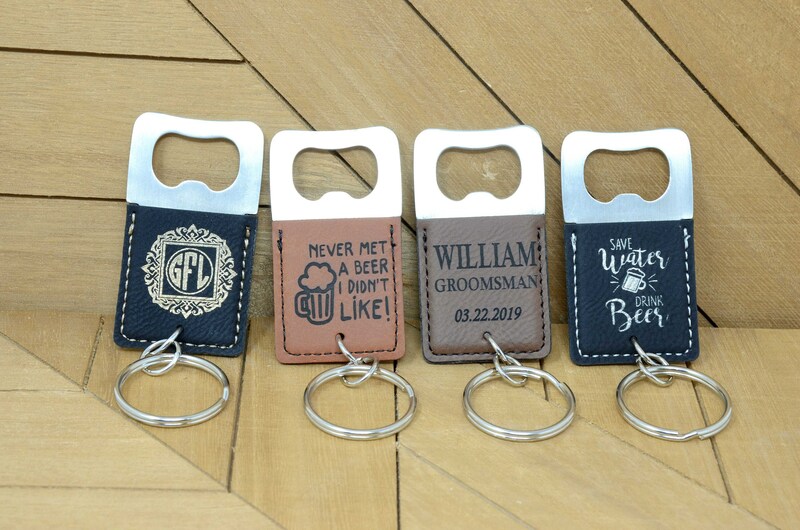 To assure delivery by a certain date, we also offer the USPS Priority (2-3 business days delivery time, after processing) or the "USPS Priority Express" service (1-2 business days delivery time, after processing).